See also: Great Smoky Mountains National Park. The Appalachian Trail, a marked, rustic footpath built by volunteers between 1922 and 1937, runs more than 2,100 miles through 14 states from Georgia to Maine. One of the most popular hiking trails in the nation, the Appalachian Trail is a prime tourist destination in North Carolina, where it passes through the Pisgah and Nantahala National Forests and along the highest ridges of the Great Smoky Mountains National Park (see map). Steep and narrow in many places, the trail generally follows the North Carolina-Tennessee border for a total distance of around 200 miles, traversing Clingman's Dome, the highest peak on the trail. Each year more than 4 million people hike part of the Appalachian Trail for short stretches during a day or a weekend, and about 2,500 hearty "through-hikers" attempt to traverse it in its entirety. 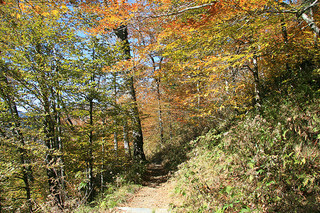 Late spring through early fall is the trail's busiest season. The Appalachian Trail has been part of the national park system since 1968. 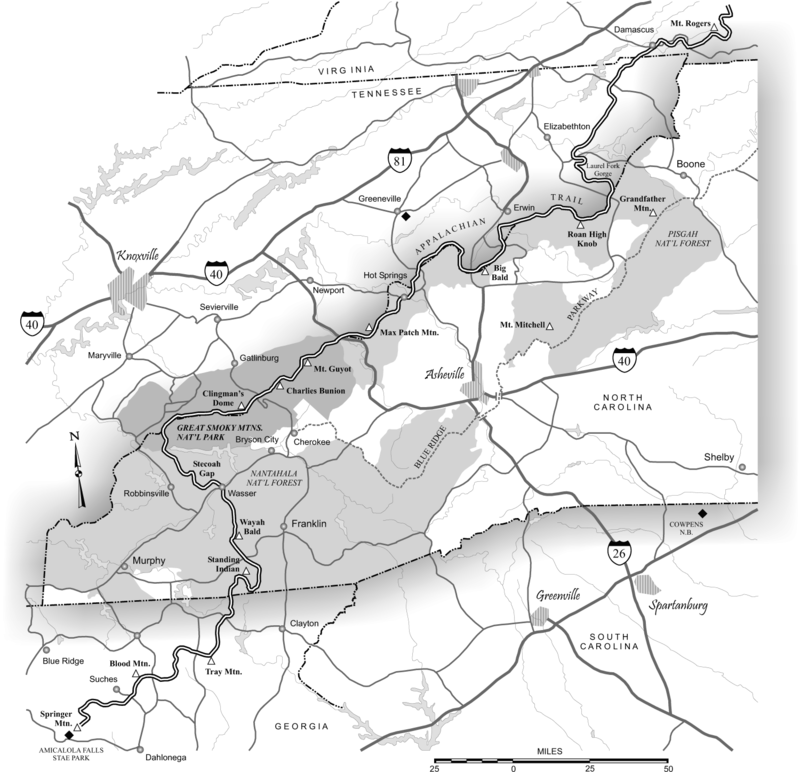 Federal or state ownership protects 99 percent of the trail, though its maintenance is carried out by groups and volunteers coordinated by the Appalachian Trail Conference, whose regional office (covering Tennessee, North Carolina, and Georgia) is in Asheville. "Appalachian Trail near Newfound Gap, Great Smoky Mountains Nationalpark, Tennessee-North Carolina state line." Image courtesy of Flickr user Frank Kehran. Available from http://www.flickr.com/photos/fkehren/299275244/ (accessed June 26, 2012).